Amanda Parris of Hillsville was named Virginia Farm Bureau Federation’s 2018 Farm Woman of the Year. She was honored during the VFBF Women’s Spring Conference, held March 16-18 in Roanoke. The award recognizes recipients’ contributions to family, home, farm business, community and Farm Bureau. Parris grew up on her family’s dairy farm, which later transitioned to beef cattle. As a child, she was an equine enthusiast and 4-H volunteer leader and taught riding lessons. She is the Carroll County tourism relations manager and assists local government in planning and implementing community events focusing on agriculture and youth. 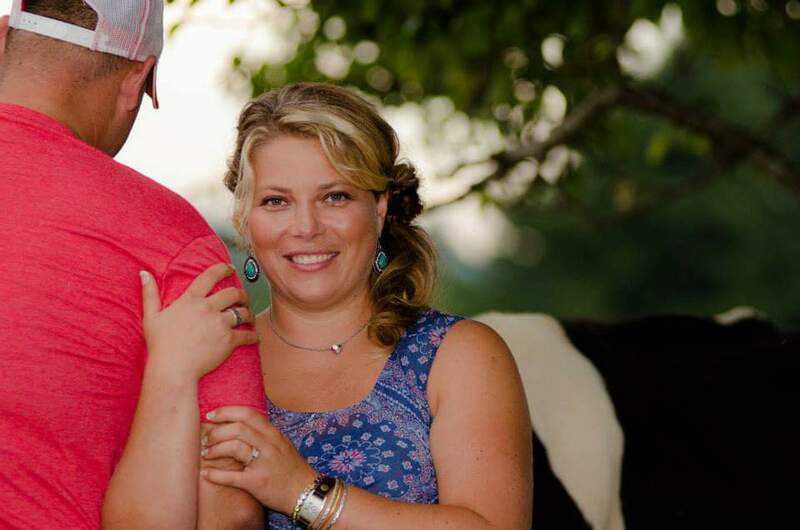 She and her husband, Michael, along with her mother, operate A&M Farms, where they direct-market grass-fed and -finished beef. Parris received $250 from the Virginia Farm Bureau Mutual Insurance Co., a trip to the 2018 VFBF Annual Convention and a travel package to the 2019 AFBF Annual Convention. As reported in the Galax Gazette, the Carroll County Farm Bureau Women’s Committee had seven representatives attending: Carol Chevalier, Margie Quesenberry, Pat Cox, Sheila Newman, Helen Beamer, Parris and Myra Leonard. With 127,000 members in 88 county Farm Bureaus, VFBF is Virginia’s largest farmers’ advocacy group. Farm Bureau is a non-governmental, nonpartisan, voluntary organization committed to supporting Virginia’s agriculture industry and preserving the Virginia way of life. Contact Sara Owens, VFBF communications, at 804-290-1133 or Angela Haskovec, VFBF Women’s Program coordinator, at 804-290-1031.